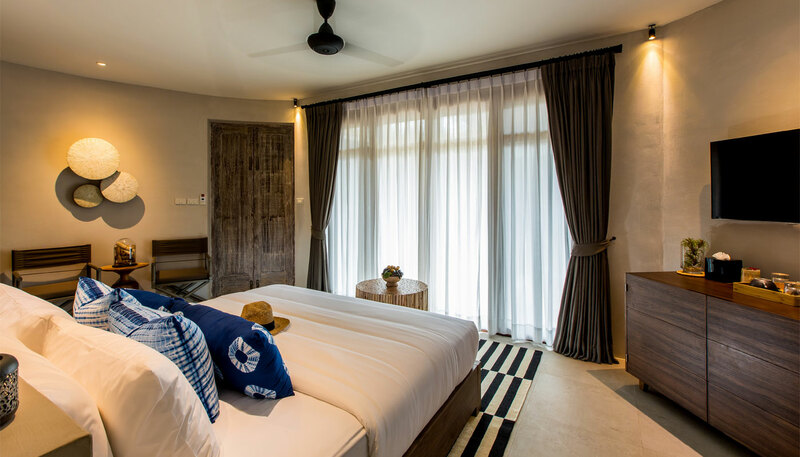 These beautifully styled rooms inspired by nature are positioned on the upper floor of our new collection of huts. 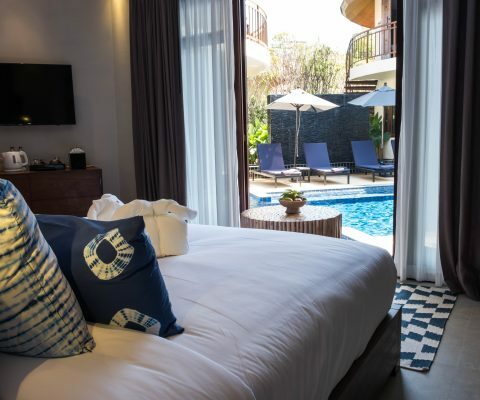 The spacious rooms are 46 sqm with a balcony overlooking the pool and surrounding hills. 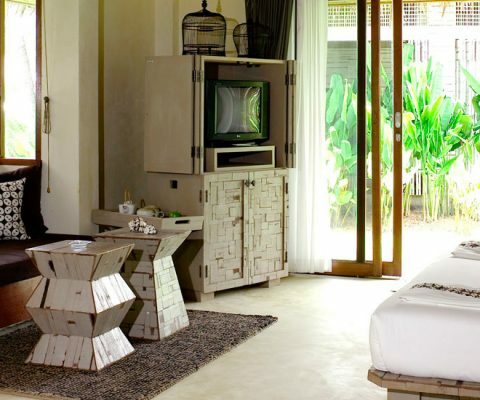 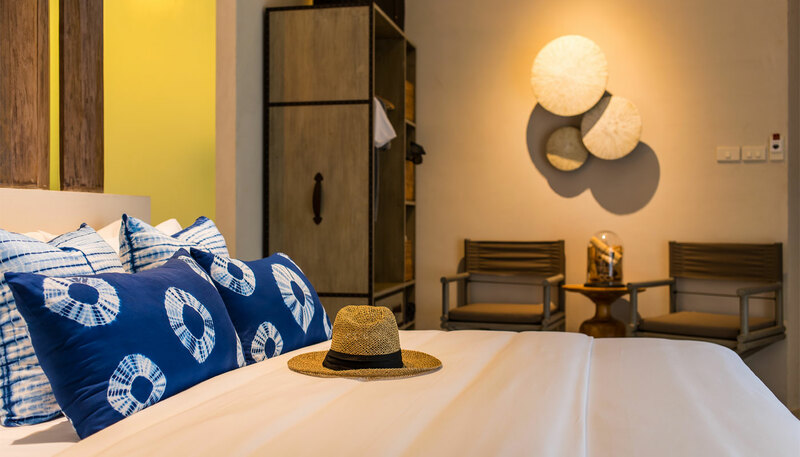 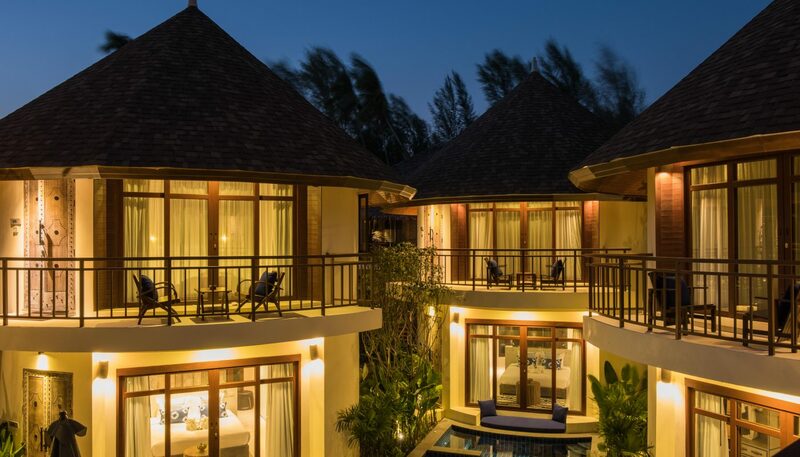 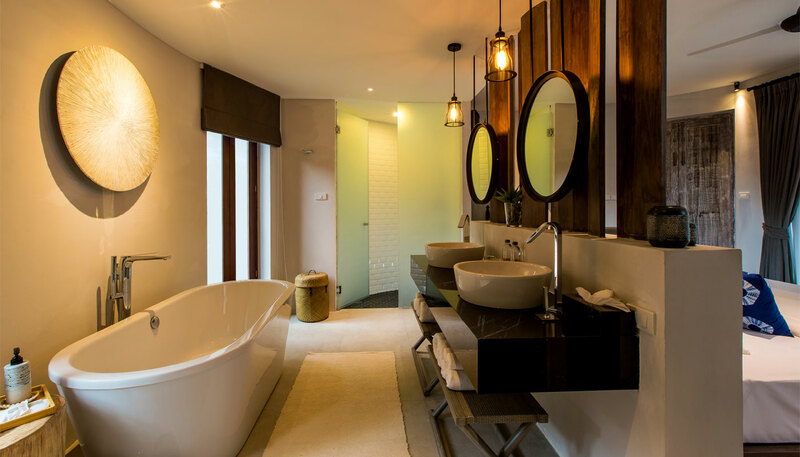 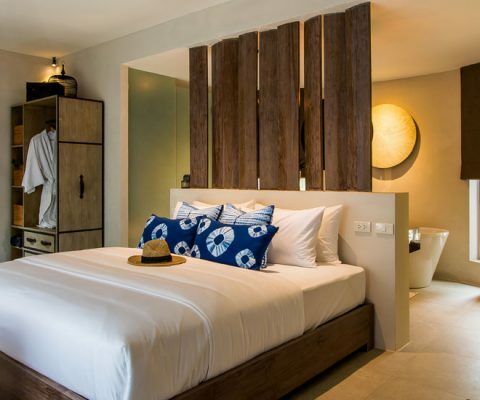 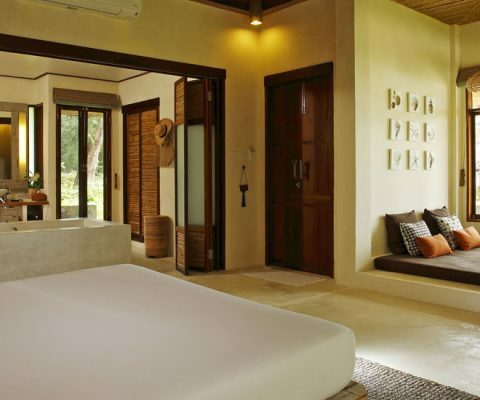 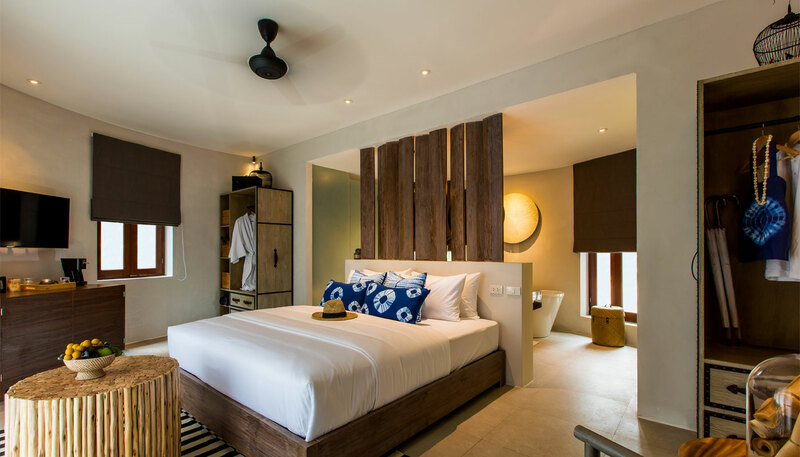 The romantic rooms have an open layout with a king-size bed facing the view and a spacious bathroom with a bathtub.